Here is a MASSIVE gold nugget from Australia! 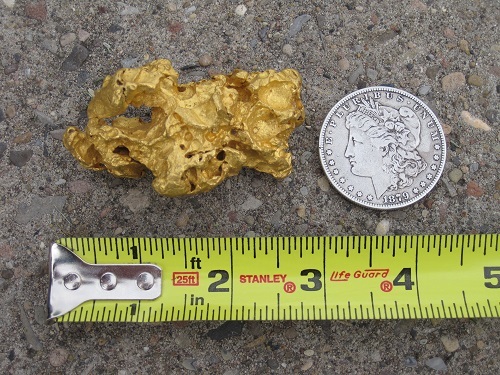 It is extremely rare to find a gold nugget of this size. This one was part of a large collection of Aussie gold that included many other spectacular nuggets. I don't recall the exact weight on this one, but I would estimate it's in the 5-8 troy ounce range. A genuine WHOPPER!